Just for fun | ..::CHANGE is INEVITABLE::..
How can you, I, our friends really trust our selves that what we see on TV and hear on radio is true? How do we know that our openions are really our own? How can we be sure that the weak voices are heard and not scared into silence? There is one person we can think for all this. The person will give us new perspectives, giving us choice, gives us alternative to uniformity and short term thinking. Do you wanna know How? Comment here!! Well no doubt I’m a google freak. I’ve learnt a lot through it and I have searched a lot. But I wasn’t much aware about my intencity of googling stuffs. I hope you know there is something called Web History. – Google Web History do allow you to notice unusual web activities (incase intruder is not smart enough) you may change your password. 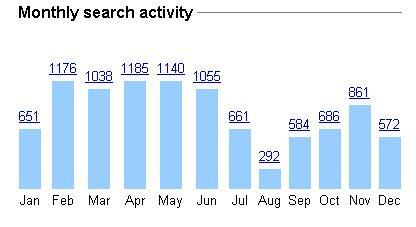 Well now let me show you my Google Search activities / statistics in year 2009. 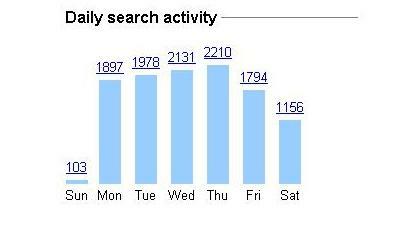 Ofcourse you should be logged in while googling and you should have your google history enabled to get this graphs. Am I exploiting google too much? Hoping to break these limits in 2010 ! !